We generally use USB 2.0 interface for tranferring data from one device to other. USB 3.0 is also available which gives super speed of 625Mbps (theoretically) but thay are not so popular in India because the system manufacturer were not producing them in India. are bundled with USB 2.0. 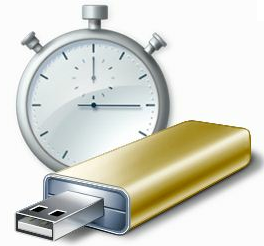 USB 2.0 is categorized in Hi-Speed interface for data transfer. They gives data transfer speed of up to 35Mbps (theoretically). First, plug in your USB device or pen drive in to your computer. Now after the device is connected, open "COMPUTER". Right click on your device and open Properties. Now, In when open dialog box click on Hardware Tab. 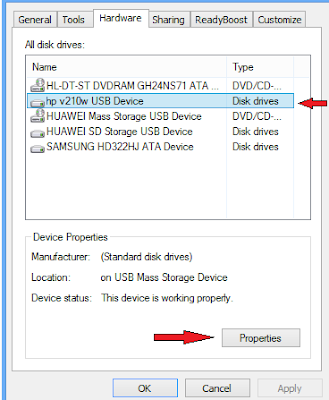 Select the USB device from the list and click on properties below it. Now, a new dialog box will open, In this dialog box click on Change settings button. Again a new dialog box will open in this box, click on Policies tab. Now, you will see that your default Removal Policy is set to Quick Removal. Change the policy to Better Performance. Now restart your computer system and enjoy the Hi- speed data transfer. 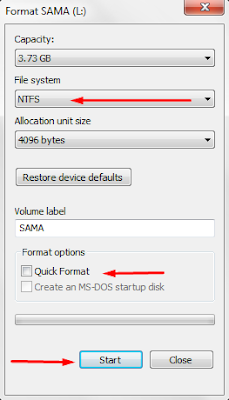 Note:- When you set your removal policy to 'Better Performance' it will increase your data transfer speed but when you need to remove your USB device you must use 'Safely Remove Hardware' notification icon in the system tray. Otherwise your device will be damaged and it can ask for scan and fix bad sector when you plug your device again in the computer system.